Hormone replacement therapy is effective at relieving symptoms commonly associated with the menopause, but it also increases your risk of certain cancers. What do you need to know before you consider HRT? Hormone replacement therapy is pretty effective at combating the unpleasant symptoms often associated with the menopause — things like hot flashes, night sweats, fatigue, vaginal dryness, and mood swings — so it used to be offered routinely. When news emerged that it can also increase a woman's risk of adverse health outcomes including cancer back in 2002, that was pretty shocking. Many women are now, with reason, reluctant to even consider HRT. What should you know about hormone replacement therapy and cancer risk if you're suffering from severe menopause symptoms that you'd love to be rid of? Does the menopause itself increase your risk of cancer? Your risk of cancer goes up with age. Women who have had more menstrual cycles, and ovulated more often, have a higher risk of certain cancers — experiencing menarche (your first period) before age 12 or entering the menopause later than 55 are both associated with this. A higher lifetime exposure to estrogen can also occur if you use hormone replacement therapy, either combined (boh estrogen and progestin) or estrogen only. What does research say about the health risks of hormone replacement therapy? The Women’s Health Initiative study, ran by the National Institutes of Health, was a large long-term study of health outcomes in women who had entered the menopause. The researchers wouldn't have expected to find what they did when the study started — that the risks of combined hormone replacement therapy outweigh the benefits — but that is exactly what they ended up discovering. Because the increased risk of breast cancer is now well-known as the study received a lot of coverage, many women who suffer from menopause symptoms now no longer consider hormone replacement therapy to be a viable option, while others do opt to take it, but for shorter periods of time. If you're currently plagued by symptoms — as well as worried about osteoporosis, which hormone replacement therapy can help prevent — you may be wondering what to do. As you consider your options, you should know that hormone replacement therapy for menopause symptoms can be estrogen-only, or a combination of both estrogen and progestin (progesterone). These two choices have different implications for your health. A combination of estrogen and progestin replacement therapy was found to boost a woman's risk of developing breast cancer by a whopping 75 percent — and we're not just talking about long-term use either, as this is true even for women who are on this form of HRT for a short while. 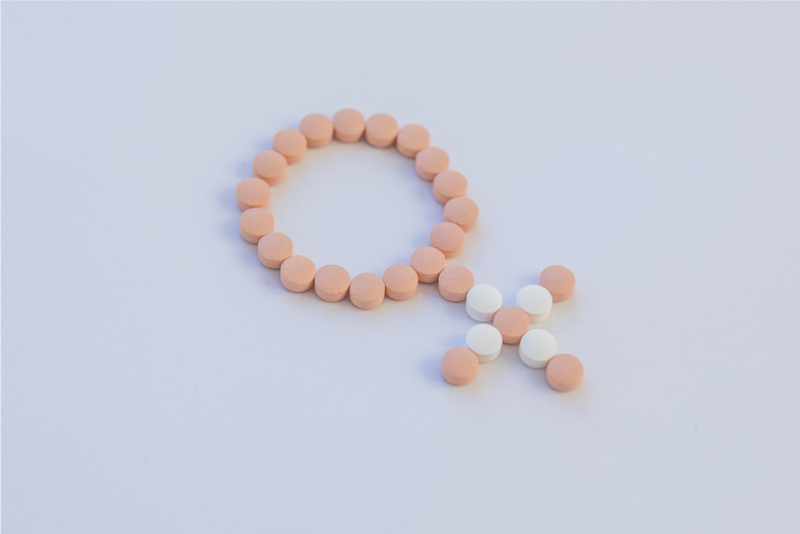 Women who take this kind of HRT are further less likely to be diagnosed with breast cancer in the earlier stages, when it is more treatable, and they have are more likely to die of breast cancer should they develop it. The risk is highest within the first two or three years of using combined hormone replacement therapy, and the higher the dose, the greater the increase in risk. It is also, however, short-lived — your odds of developing breast cancer actually drop back to the normal rate two years after you quit using estrogen and progestin HRT. Estrogen and progestin therapy was not found to boost the risk of endometrial cancer (the endometrium being the lining of the uterus), but it does increase the odds that you'll suffer from abnormal vaginal bleeding. Interestingly enough, women taking combined hormone replacement therapy seem to have smaller odds of developing colorectal cancer — but it's not all good news on that front, as those who did have this kind of cancer are more likely to be diagnosed in the more advanced stages, after the cancer has spread. In terms of lung cancer, the story is similar; you don't have a higher likelihood of developing it, but your risk of dying from lung cancer, should you get it, is higher if you take hormone replacement therapy that includes both estrogen and progestin. Combined HRT doesn't, meanwhile, seem to have any impact on your risk of skin cancer. What about estrogen-only therapy, then? Estrogen-only therapy seems to be safer in some ways, but there are trade-offs. While it does appear to increase your risk of developing breast cancer, that's only if you use it for longer than a decade. Women without a family history of breast cancer or a personal history of benign breast conditions may actually have a modestly decreased risk of developing this cancer, meanwhile. Estrogen replacement therapy doesn't seem to lead to a higher risk of skin or lung cancer, and may even result in slightly reduced odds of colorectal cancer. A large meta-analysis found that estrogen-only therapy appears to increase your risk of ovarian cancer. Unless you have had a hysterectomy, estrogen-only therapy seems to lead to higher odds of endometrial cancer, even after you discontinue the treatment. Crunch time: Is hormone replacement therapy for you? That's something to discuss with your doctor. Women who are especially badly affected by menopause symptoms may decide that the benefits do outweigh the risks for them. In this case, they can discuss whether to use combined or estrogen-only HRT with their healthcare provider in detail. Should you decide, together with your doctor, that hormone replacement therapy, whether combined or estrogen-only, is the right choice for you, use it for the shortest amount of time you can, and choose the lowest possible dose. This goes for women who choose topical HRT like vaginal creams and rings, as well, and they may also need progestin treatment after. Check in with your doctor however often they advise you to so they can keep an eye on your side effects and the efficacy of the HRT as well as going in for cancer screenings when invited — and be sure to let them know immediately if you suffer from vaginal bleeding after you have entered the menopause, as this can indicate endometrial cancer.